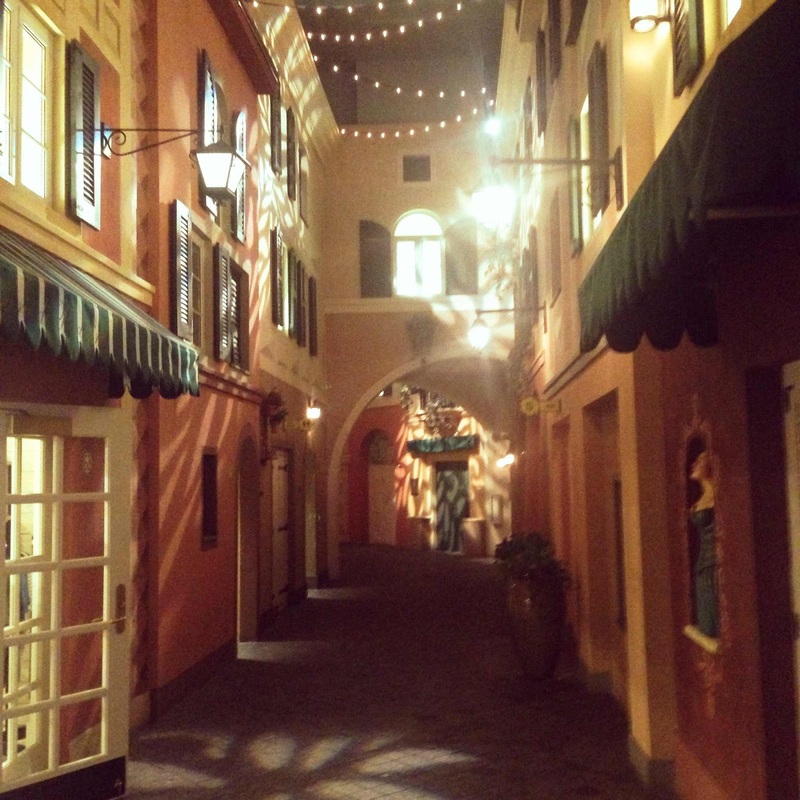 Sydney Shop Girl: The Early Hours On Portofino Bay. The Outlet Report. 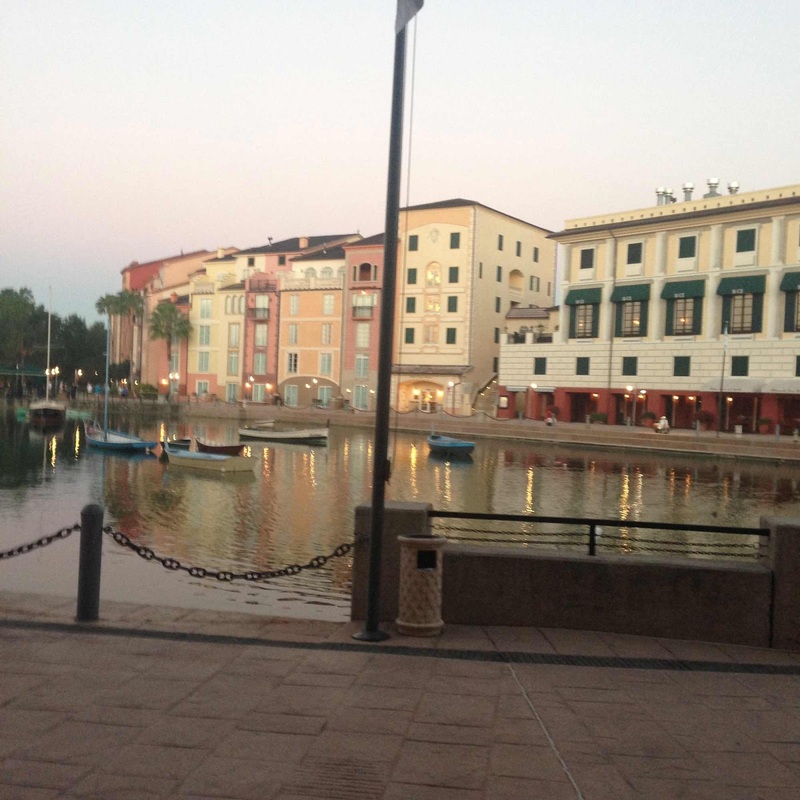 The Early Hours On Portofino Bay. The Outlet Report. Ciao from Portofino via Orlando! Where dawn looks a little different from how it does in other parts of the city. Rose gold sunlight slowly brings elegantly painted terraces out of the darkness. The colours of the Mediterranean predominate and the skyline isn't dominated by the Magic Castle or a rotating Universal Studios globe. Meanwhile, from inside, crazy Australians look out at the rising sun from their hotel room terrace dressed like this. That's right, I didn't factor in an outdoor walk across the piazza to the gym each morning. 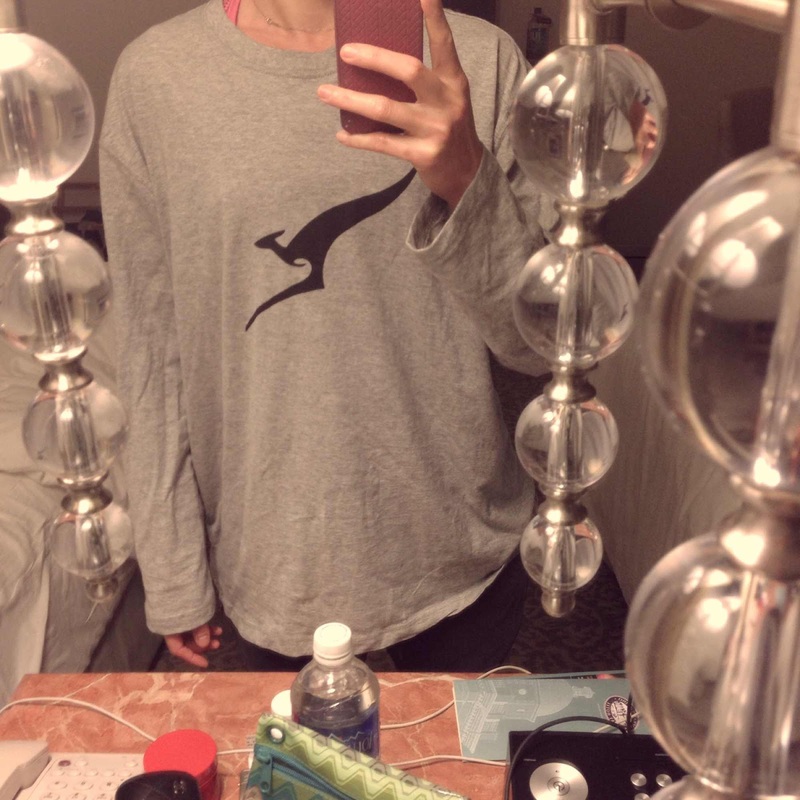 So I had to make my Qantas PJ top my improvised tracksuit top. Holiday metabolism kick started (and boy does it always need a huge one when I'm in the States), it's another brisk trot across the piazza as the boats gently bobbed in the water and the bell on the door of Sal's Grocer tinkled as I opened it. 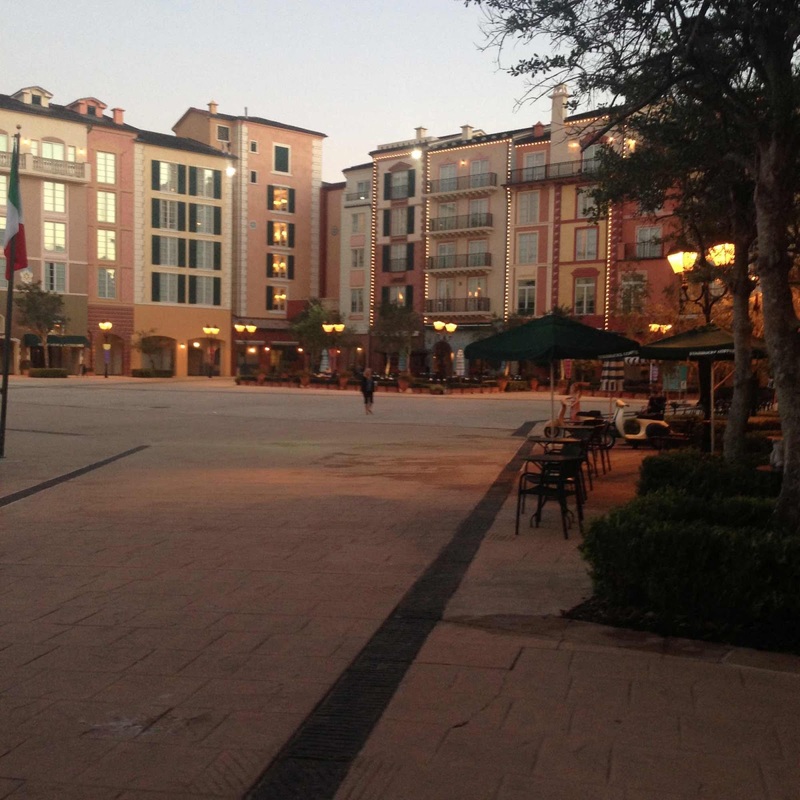 I'm not kidding, it really is this surreal every morning at Loew's Portofino Bay. This is as close to 'Eat, Pray, Love' as a girl's going to get this close to the theme park capital of North America. 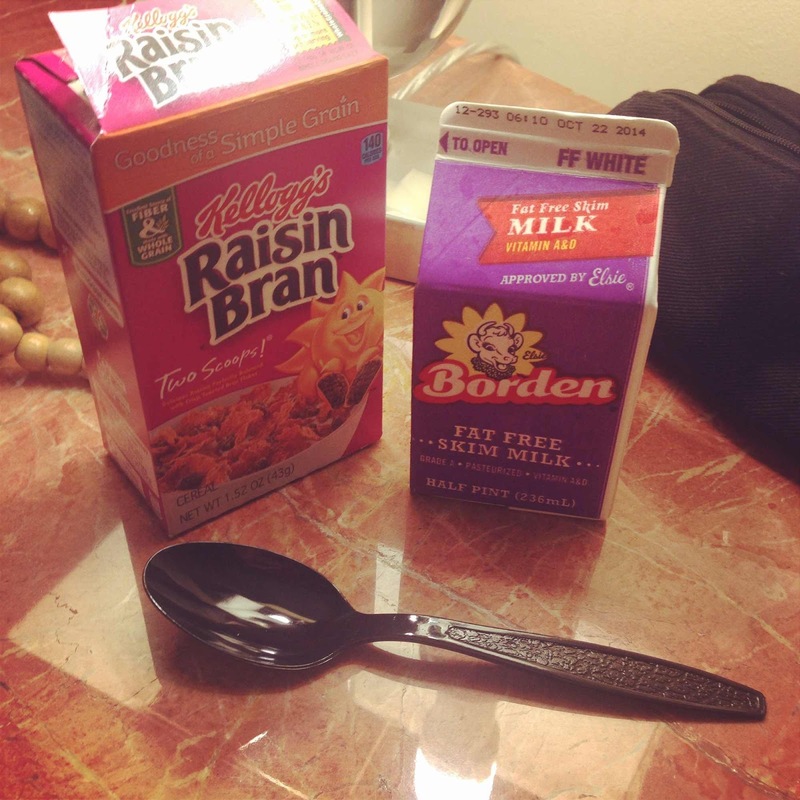 You'll be relieved to know that Sal's sells Raisin Bran and Borden's Fat Free Skim Milk which seems to be my official Floridian breakfast. Personally, I like my milk on ice. Actually, there isn't any other way to have it in my hotel room. The room fridge is one of those fancy ones with intuition. It knows exactly what is in it and also reacts the moment anything gets moved by having the item billed to one's room account. I didn't want to take any chances by toppling anything over as I popped my milk in so I've been keeping it cold in the ice bucket. It really works. McGyver would be so proud with all the thinking outside the box I've been doing here on Portofino Bay. I've made the coffee machine make a cup of tea with a teabag. By the time I'd finished getting myself organized for the day, Portofino Bay was making itself look even more beautiful under the fully risen sun. I know, I know. You want more shopping less hotel amenities. Will this photo of the shopping arcade inside the hotel suffice? Perhaps not. Thought as much. Anyway. The shopping. Of course it began at the outlets and in hindsight, that's where I think it should all have stayed. But more on that in the next post. 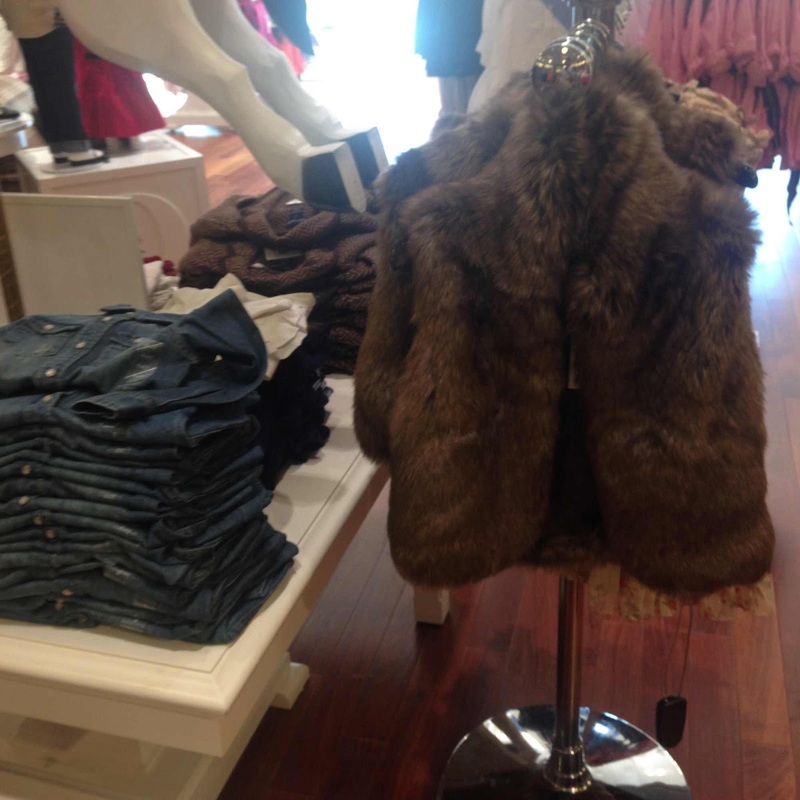 It's heading into winter in the northern hemisphere and the clothing for sale reflected this. Most of what I bought was for Toddler SSG for a change as I basically bought everything I could possibly have needed for myself on the last trip. The dollar has dropped against the greenback a fair bit in the five months since I was last over so I tried hard (!!) to be as objective as possible as I could with each purchase. 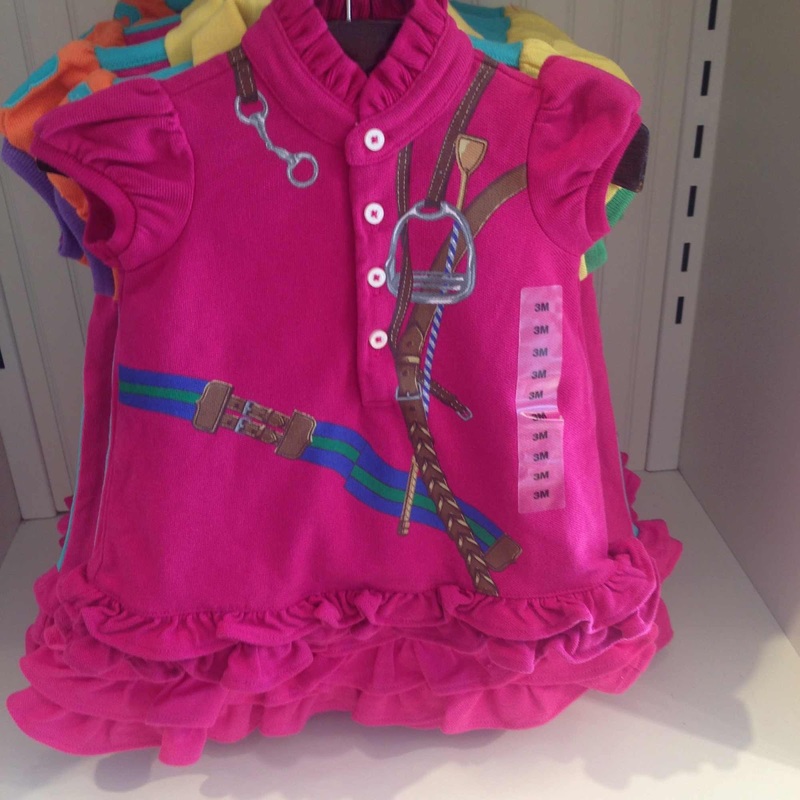 Which is why it's just as well I don't have a toddler daughter as well because these photos from the Ralph Lauren kids outlet would've materialised into actual purchases. Does anyone else find themselves occasionally having these odd and idle 'if I had a daughter / son....' daydreams when they're out shopping? Right, probably is just me. I suspect you're probably more invested in the here and now or wrangling two or more children or all of the above. My toddler daughter daydream panned out as follows. Polo shirt dresses with a ruffled hem and equestrian motifs. 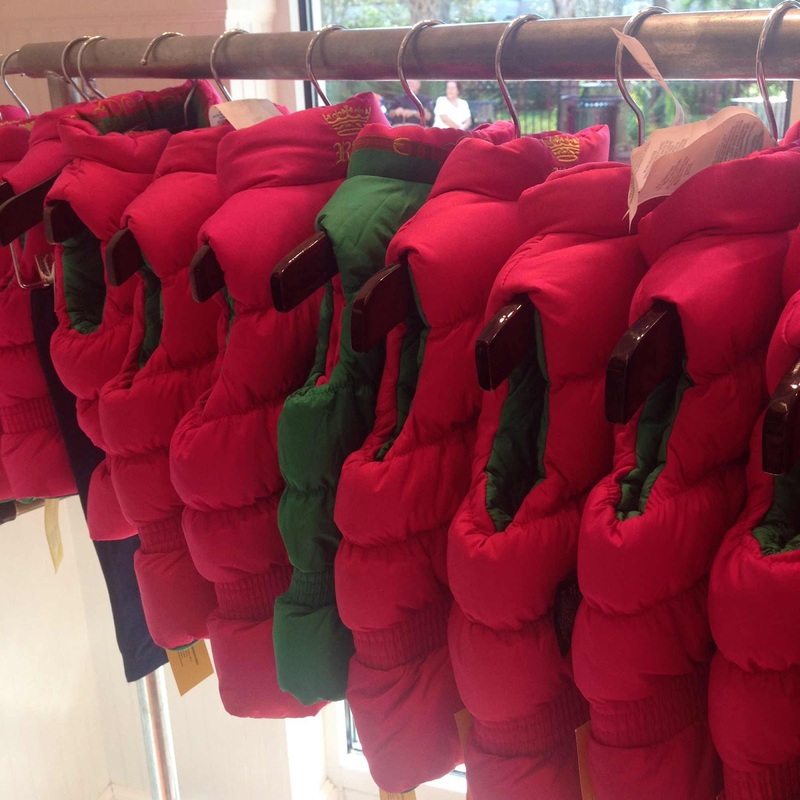 And my favourite, hot pink and jade green puffer vests with more equestrian motifs or princess crowns embroidered at the nape. For those of you who have actual toddler girls rocking any of these this season, know that I am cooing from over the internet on your behalf. Not that shopping for Toddler SSG himself isn't coo worthy. It is, just in a different way. It's all about sturdiness and functionality. 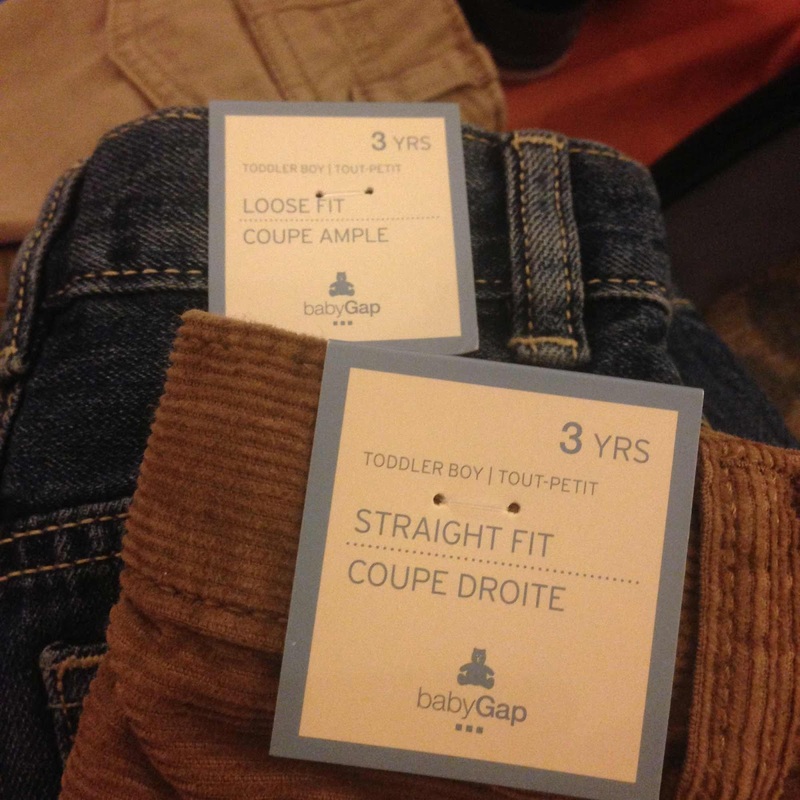 Though I do like how even toddler boys are not above a bit of vanity in the way they like their trousers cut. Here we have a pair of camel straight legged cords and a looser fit pair of jeans. I also found him some puffer vests and winter jackets but the girls' ranges take the cake for being the cuter to photograph. 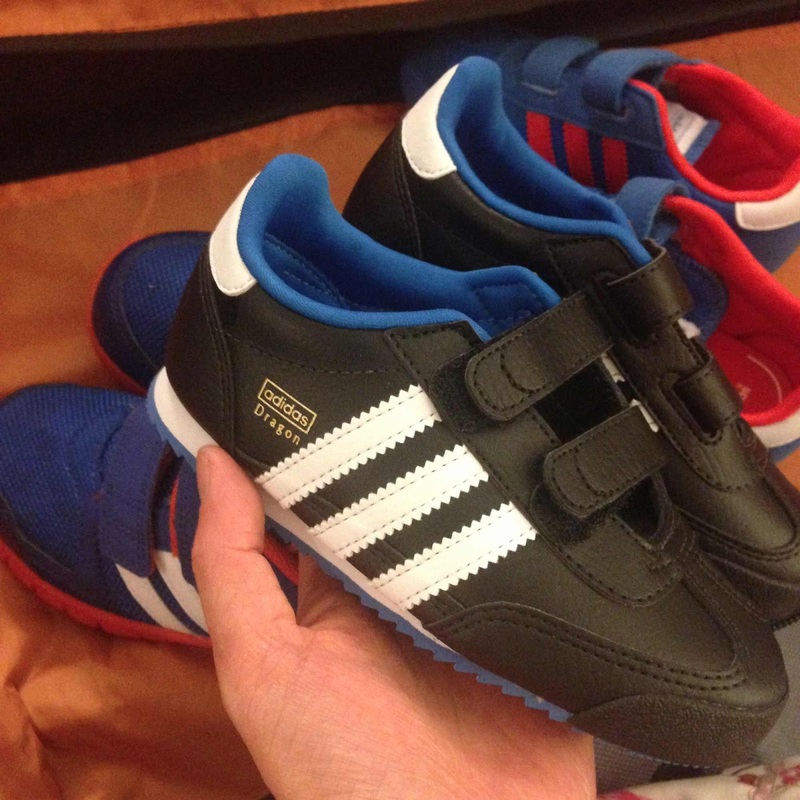 It's all about the shoes for Toddler SSG. We're going a bit retro with these Adidas Dragons. 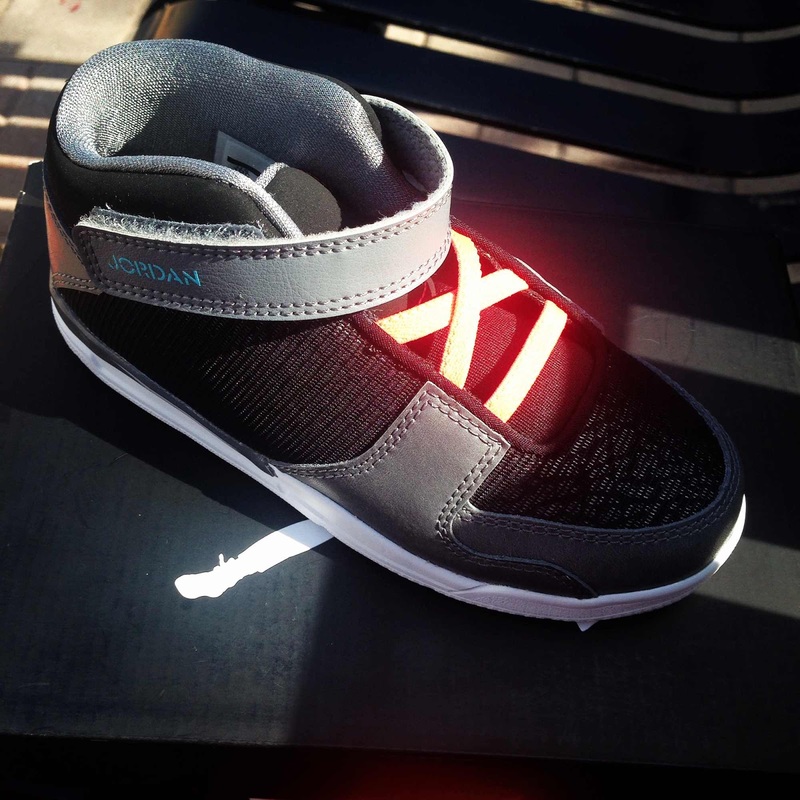 And a bit more fashion forward with these Nike Jordans. The day in shopping and work related business attended to, it was time to rest those Birki clad feet down by the water and wait for the boat to take us down to the Universal CityWalk for dinner. I had my George and Amal Clooney moment on the boat, looking backwards over the water to the hotel. Minus the hoards of fans and papparazzi, obviously. Which made it all the more relaxing. The boats depart every 20 minutes from the hotels along the water and hitching a ride each evening to dinner has been my favourite thing to do whilst I've been here. 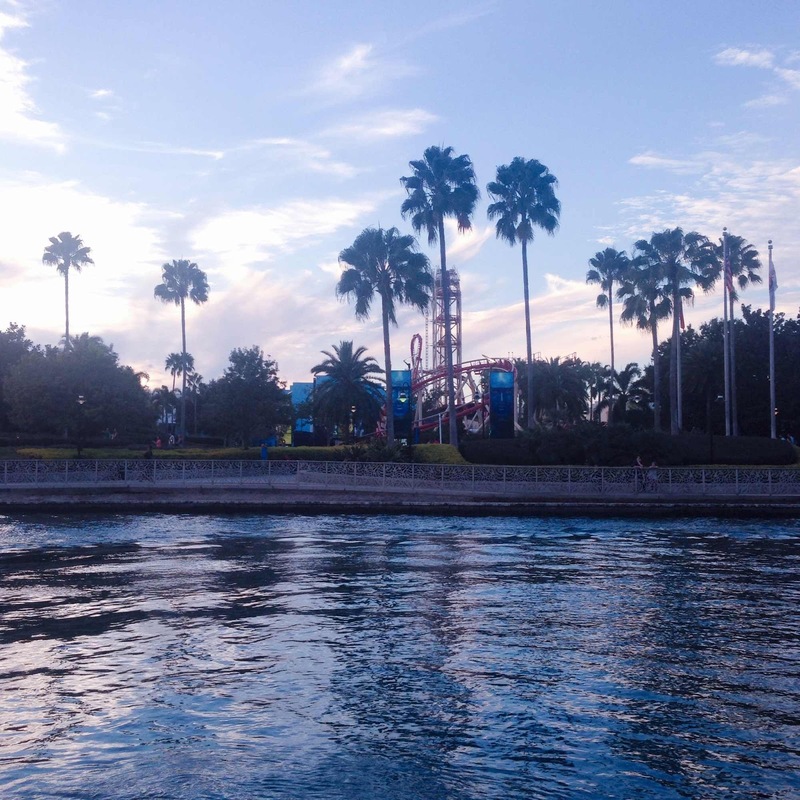 Not so great photo of the parks and theme restaurants of CityWalk from the boat. Every sporting institution in the US seems to have their own official restaurant here - the NBA, NASCAR... you name it. CityWalk is basically a huge collection of eateries and amusements to keep visitors entertained after a day at Universal Studios. While it is family orientated, there are quite a few bars dotted along the water to keep the adults entertained. And you know what? Even late in the evening, everyone is perfectly well behaved and parents feel very comfortable having their children out that late in the thick of the nightlife. Yes, it is touristy and loud but it's a great idea for anyone who wants a bit of a buzzy way to end a big day out. The hotels tend to be very, almost eerily quiet and dark in the evening and even a boring nonna before her time like me actually preferred to be out in the noise of CityWalk before turning in for the night. The restaurant mix is a smart one of spendy, mid range and take away. 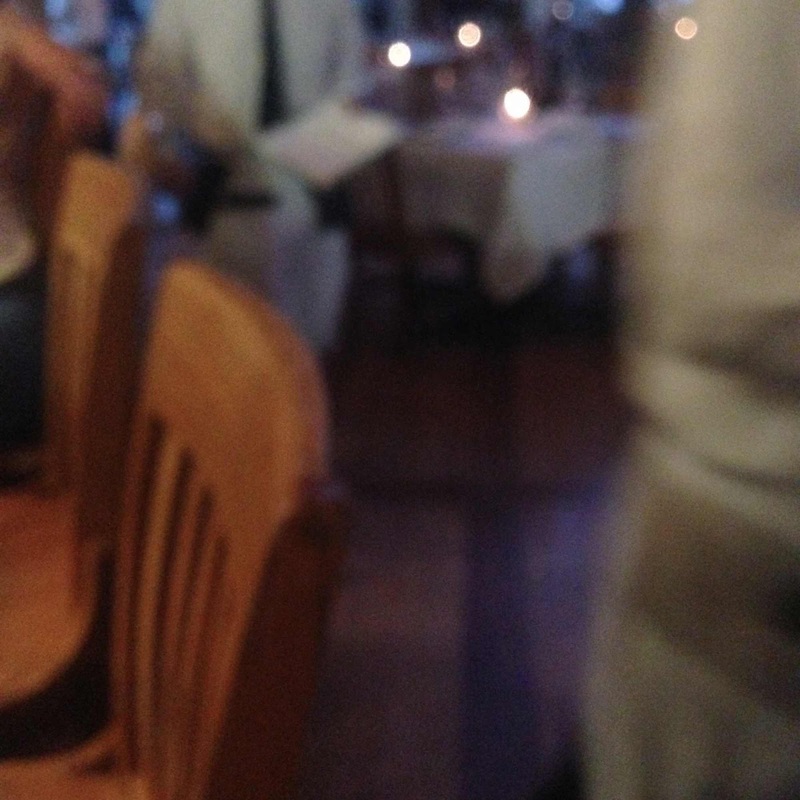 Having eaten nothing but cereal and cold sandwiches all day, I decided to go for a white linen option and found myself at the bar at Emeril's Orlando - one of the chain of Emeril Lagasse, an American celebrity chef with the whole business empire of books, television shows and restaurants behind him. Emeril has restaurants across the country but I'm linking to the menu for his Orlando Emeril's for the purpose of the reviewing what I ate. There's a very fancy wine list which won an award this year but I stuck to what I know best. And it was good. Very good. The size of American main courses always defeats me. So I decided to order two entrees to save room for dessert. 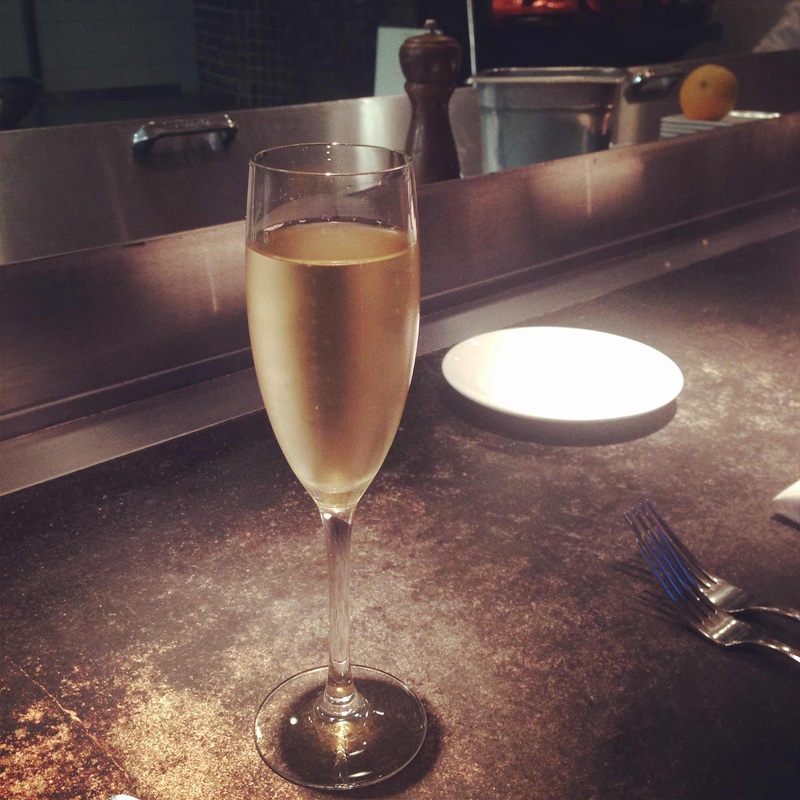 The staff were very accommodating about this which was a lovely gesture given how busy they were on the night with tables going the full three courses plus drinks as a matter of course. My first entree was a duck taco ($6) with a chipotle slaw and tomatillo salsa. It was a bit of home with the memories of Peking Duck shared with family whenever there was an occasion to celebrate. 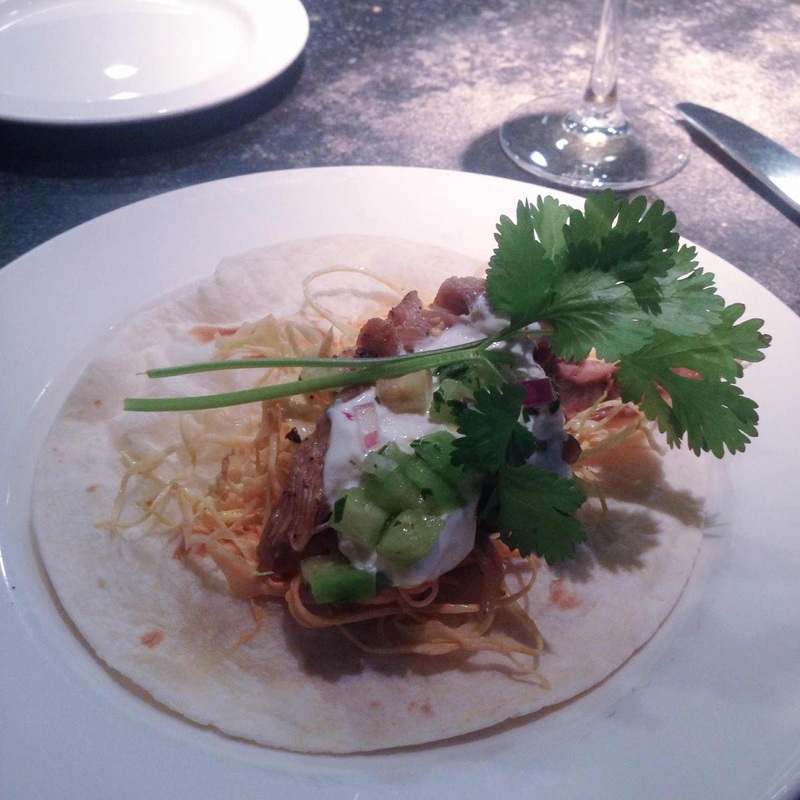 The duck taco was perfectly balanced flavour wise and I like how they were light handed with the lime sour cream. 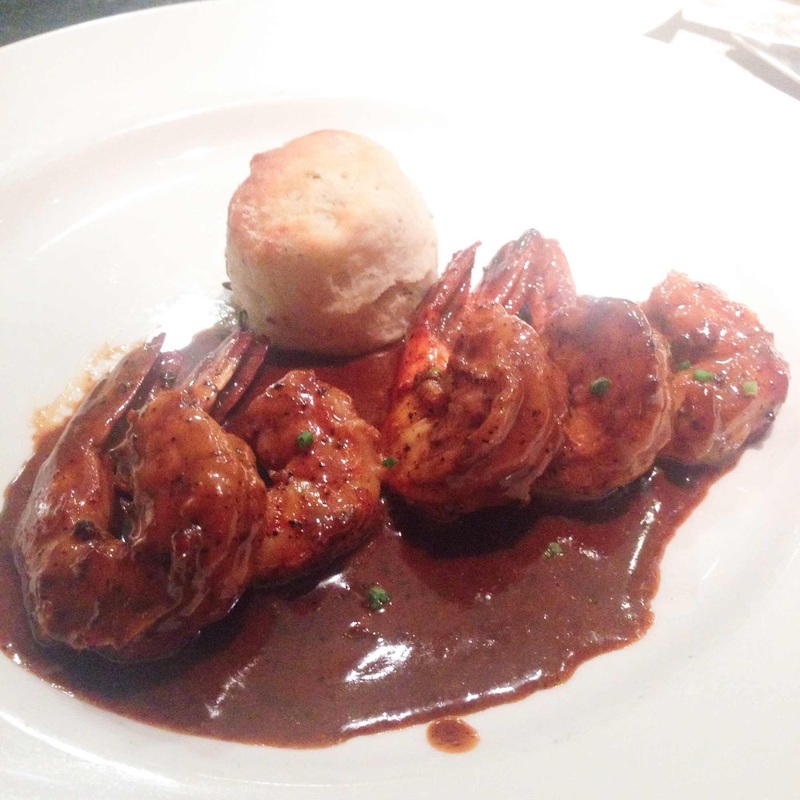 My main (second entree) was the New Orleans barbecued shrimp with a petite rosemary biscuit ($13). I couldn't fault the prawns or the biscuit but the sauce was on the salty side. That being said, the rosemary biscuit was perfect for soaking up and balancing out the sauce. But for me to notice the saltiness as a lover of a soy on my sushi and sea salt on my tomatoes is a bit of a concern. Still, it was a 'lighter' dish which suited my aim of not leaving dinner feeling like a sack of potatoes. Back to the pie. It wasn't as rich as it may appear. But then again, I did eat around the chocolate shards (not a big fan of chocolate decorations, the chocolate always seems to taste a bit fake in this context, must be something they do to the chocolate to give it a pliable yet hard finish suitable for garnishing). The crust was light and not too firm or buttery. It was filled with generous slices of banana (probably a whole smallish one per slice of pie) and the cream filling was almost mousse like). 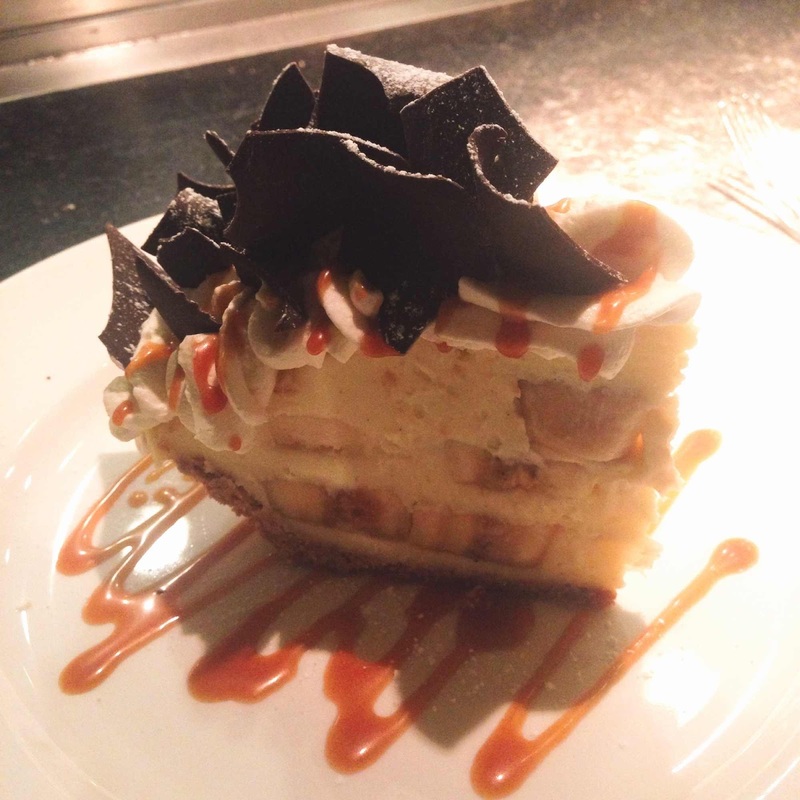 Swirling your forkfuls of pie through the caramel sauce gave each piece just enough added sweetness. My sleep wake cycle is out of whack today. It's around 2am here but late afternoon in Sydney. Hope I can get back to sleep and get into Florida time by the end of today. I'll be back with more from Portofino Bay very soon. Hope you get into the time zone swing of things soon!